“ Already recommended EVERMINE to relatives for future parties — love it. 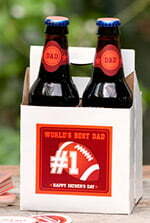 I bought personalized coasters for the graduation party we were throwing for our grandson. We put his pix and congrats — CSU Awaits! We didn't tell anyone we were getting them, we just laid them all over — everybody was talking about them & people were taking them home as memorabilia. Everyone was asking where we got them — I happily told them! ” — Bev C.
We've collected some of our favorite graduation ideas to help inspire you. 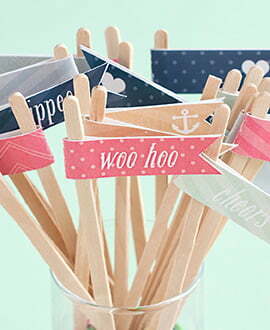 Celebrate the recent grad in your life with the help of Evermine's collection of graduation-themed paper goods. 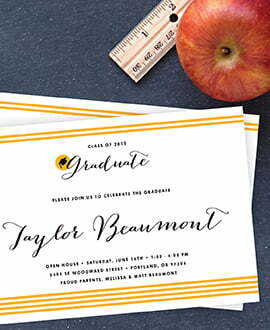 We offer graduation stationery, thank you cards, and gift & party accessories that come in a wide selection of styles to match your graduate's school colors. 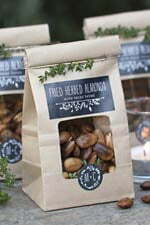 If you're looking for clever graduation gifts and party decoration ideas, visit the Evermine Blog. 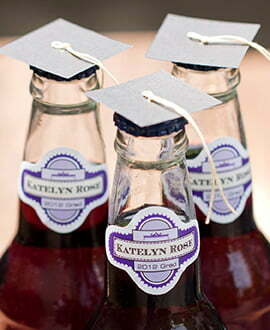 We also offer graduation favor tags, labels, and gift packaging in coordinating styles and colors.